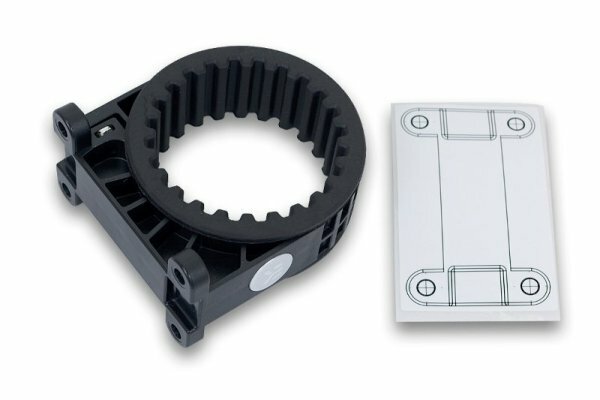 High performance aftermarket pump top (volute) for Xylem D5 series water pumps with integrated reservoir. This top offer increased hydraulic performance (up to 15%) compared to factory top. 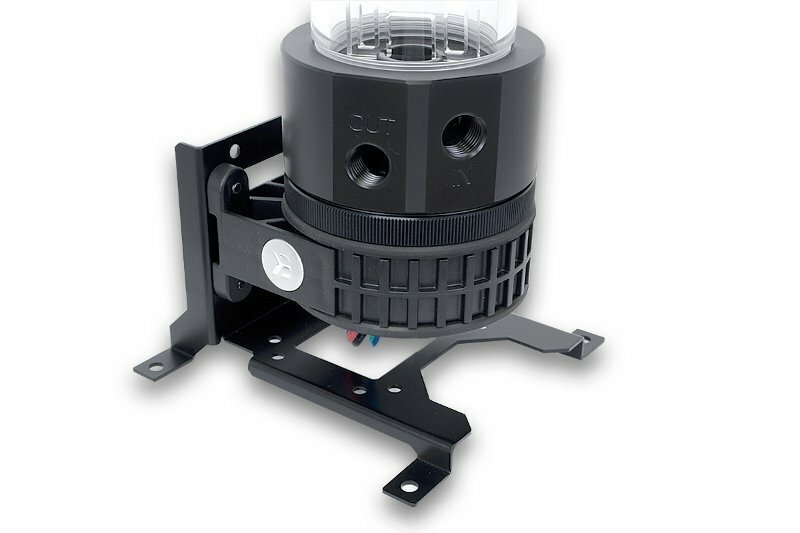 The EK-XRES Revo series features a fully rounded design thus offering greater usability, allowing installation at any angle within 360° of rotation. Special rubber shock absorber is used to de-couple the the main pump body from the mounting clip for silent operation, free of vibration induced noise. Additionaly, horizontal and vertical positioning are supported for easier tube routing possibilities. 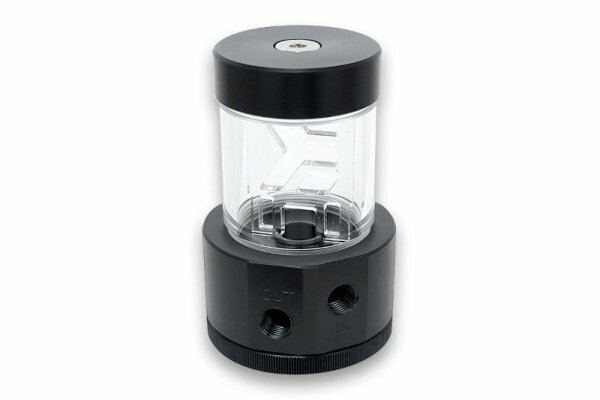 EK-XRES 100 Revo D5 series reservoirs comes preinstalled with anti-cyclone insert. Additionaly a PU anti-vortex foam and EK-HD Tube are enclosed. 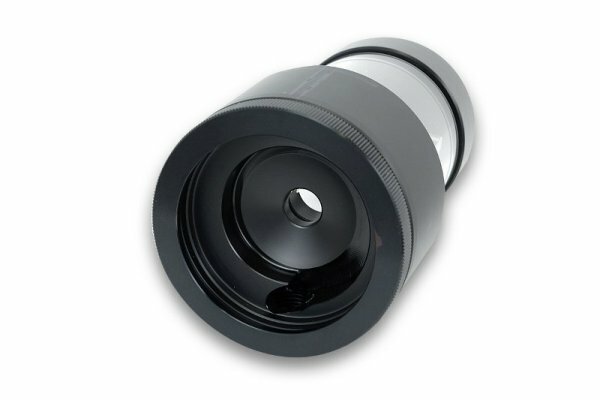 Tube is made of quality acrylic material, while the volute / reservoir bottom is made of quality POM Acetal material. EK-XRES 100 Revo D5 pump can also be upgraded with either EK-UNI Pump Bracket (120mm FAN) – Regular or Vertical which allow installation of the product in any position with 120mm type fan hole pattern as shown on the picture below: This reservoir can be easily upgraded with longer acylic tubes used by EK-RES X3 series reservoirs. 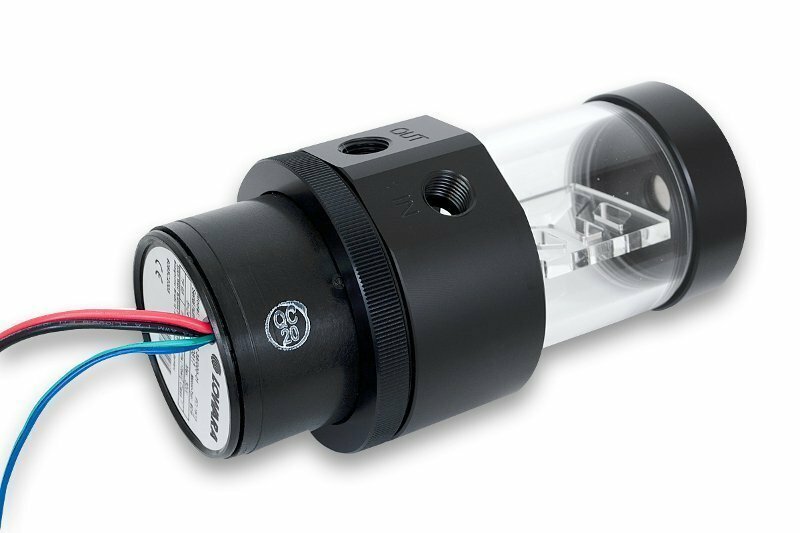 Technical specifications: – Reservoir diameter 60mm – Reservoir free volume: ~ 125mL – Overal unit height (with pump): 150mm – Mounting hole pattern: 65x34mm Enclosed: – EK-XRES 100 Revo D5 – Mounting clip with rubber insert – Self-adhesive mounting hole pattern sticker – Anti-vortex PU foam and 12mm OD plexi-glass tube – Mounting mechanism (incl. required Allen keys) – Installation manual Made in Slovenia – EU!